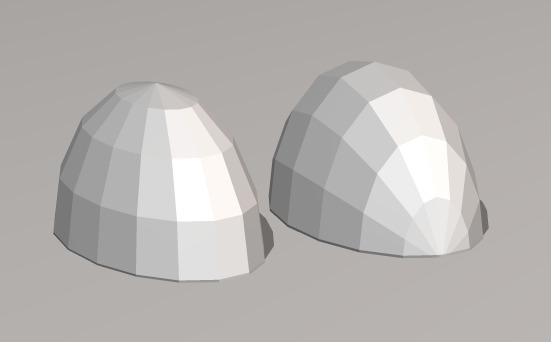 Producing Elliptical dome structures can be a very complicated and frustrating business, although the process on a computer is incredibly simple, all you have to do is squeeze a standard dome of any frequency to produce a nice elliptical shape. In reality however this simple deformation changes the length of many of the struts and Dihedral angles from two or three to dozens, so many in fact that it makes the structure no longer cost effective or practical to build. 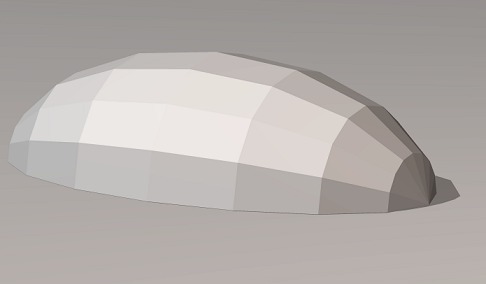 A longer rather than spherical structure is a very useful one so in the past I have made lozenge or Tunnel shaped structures as an alternative to elliptical ones, they might not be quite as strong but the tunnel shaped can be extended to any length required with the addition of one or two different components. Take a look at some of the plans and tunnel designs I have done so far. If it has to be an Ellipse and nothing else will do then I can at least show you a few techniques that make building elliptical structures at lease a little simpler. We’ll first deal with what not to do. 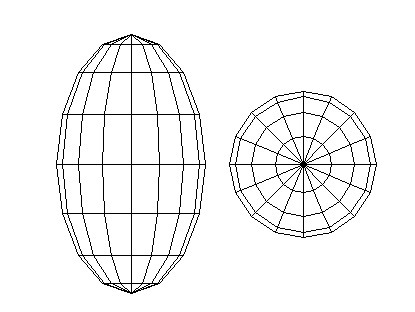 If you take a standard dome and squeeze it into an ellipse as pictured left you’ll get tons of different dihedral angles and strut lengths, the problem is when we deform a geometric sphere that has little or no mirror Symmetry then every length and angle changes if we take a Polyhedron with vertical and horizontal symmetry then this will cut down the different sizes by four because each quarter is the same. The next diagram shows a Schwedler style sphere that has vertical and horizontal symmetry, after it has been deformed you can see that two quarters are exactly the same and the other two quarters are mirror images so in effect strut lengths are the same for each quarter. Compared to the sphere though this ellipse has four times as many panel shapes/sizes, 4 for the sphere and 16 for the ellipse. I’ve included elevation and plan views so you can see this polyhedron has an elliptical profile in both horizontal and vertical planes. 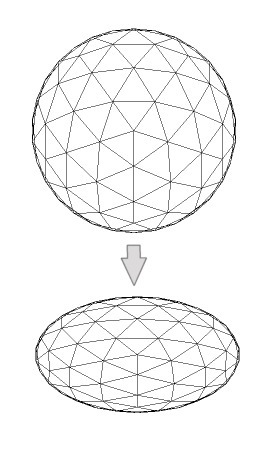 If we only deform the sphere in one plane then we can simplify the geometry even further, instead of squeezing the sphere from the sides if we stretch it from the top/bottom to form a rugby ball shape then turn it on its side we can make a building with an elliptical footprint but spherical profile. This reduces the number of panels down to exactly the same as the sphere, just 4. Performing this process on a 2v icosaheral sphere produces an elliptical dome with 8 different panel shapes as opposed to 2 in a standard sphere and 6 different strut lengths. Not a bad reduction in complexity and if you made a pseudo 4v by fixing studwork inside each triangle (no extra triangle shapes or angles) you could have a pretty decent looking elliptical structure.